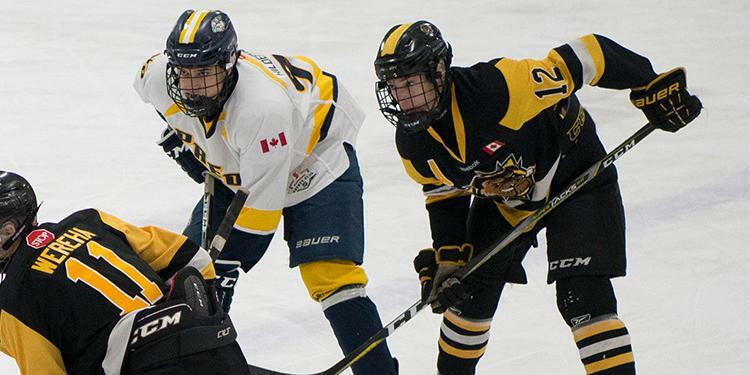 The Ontario Minor Hockey Association has released the second edition of the Minor Midget and Midget AAA Top 5 Rankings powered by Under Armour for the 2018-2019 regular season. These rankings will be released on a bi-weekly schedule. With a new season now underway, here's where teams stand after the opening month of play. 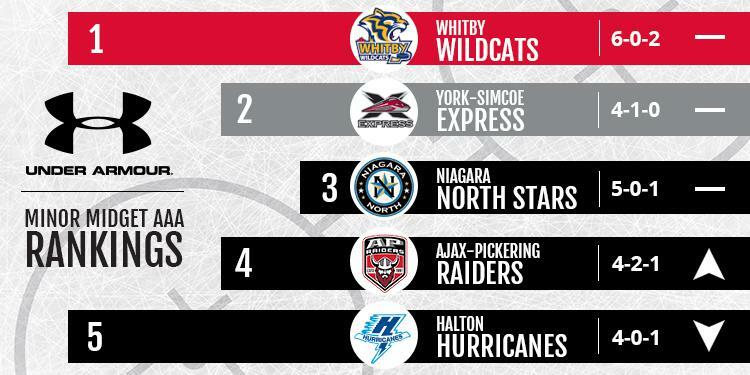 There's a clear cut top three in the first few weeks of the season as the Wildcats, Express and North Stars hold on to their spots in the rankings. The Raiders used a strong two weeks to make their first appearance in the top five while the Hurricanes round out the list but move down a spot. Jon-Randall Avon (Peterborough Minor Petes) - This forward is hard to contain especially when he has the puck. He has smooth hands in tight spaces allowing him to draw defenders out of position. With his ability to change directions quickly, Avon opens up seams and exploits this with heads up passing. Without the puck he often slips behind defenders or to soft areas allowing him to be in position for loose pucks and an option for his teammates. Joseph Blackley (Buffalo Regals) - Blackley is a smooth skating defender that covers the ice well. 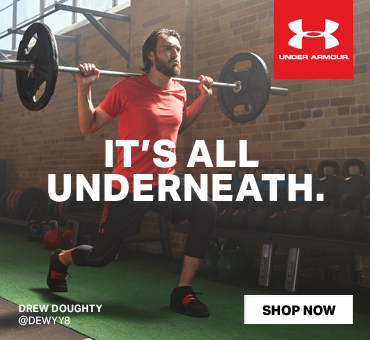 He is able to control the pace of play from the back end. He does this because his head is always up, reading the play and pressure he is facing. With this information Blackley is good at making the correct decision to find his open teammates or skate out of trouble. He drives a lot of his team's offence from the inside the attacking blue line finding open passing and shooting lanes. With a handful of games under their belts, where teams stand in the Midget AAA Rankings is starting to become clearer. 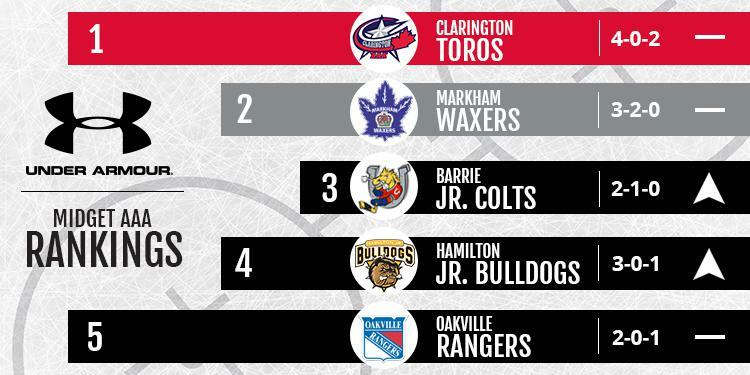 Clarington has jumped out to a hot start and looks to be the early favourite while Barrie and Hamilton are looking to enter the conversation as well. Cameron Jackson (York-Simcoe Express) - Jackson has had a solid start to the season and has been exceptional on the back end for the Express. Jackson has an effortless style to his game, which gives him the opportunity to slow the game down and leads to strong decision making. He is a tremendous defender and knows the correct opportunity to step up and halt an opponent’s attack before it gains traction. With York-Simcoe hosting the Midget AAA Championship this year, Jackson will be a familiar name amongst his competitors all season long. Travis Sawyer (Barrie Jr. Colts) - Sawyer is a smooth skating playmaker has made himself known in the Midget AAA loop in a hurry. The most impressive part of his game however is his play without the puck. Sawyer's relentless pursuit of the puck is something that is noticeable from his first shift. Whether for checking or backchecking, Sawyer seems to come up with the puck and turn it into offense really quickly.